Photograph depicts three small camp structures in dirt landscape: one trailer, one wooden building and one tent building. Logs and wood pile in foreground, forest and snow-capped mountain in background. 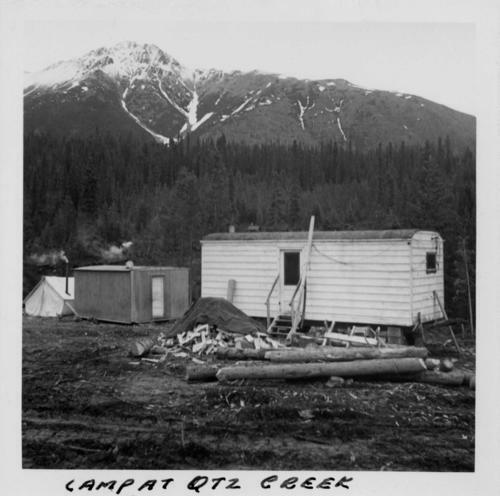 Handwritten annotation on verson in blue ink: "CAMP AT QTZ CREEK".